You are currently browsing the archive for the Anne Verhoef category. A four year award studentship is available at the Department of Geography and Environmental Science. The title of the project is “Representing Uncertainty in Land Surface Hydrology for Seasonal Forecasting“.This PhD is part of a wider research project led by the University of Reading and funded by the Natural Environment Research Council (NERC): IMPETUS: Improving Predictions of Drought for User Decision-Making. The application deadline is 15th May 2014. For more information about the studentship, please follow this link. Hannah Cloke has won a large NERC consortium grant as part of NERC’s Flooding From Intense Rainfall (FFIR) call entitled: ‘Susceptibility of catchments to INTense RAinfall and flooding – SINATRA’. Extreme rainfall events may only last for a few hours at most, but can generate terrifying and destructive floods. Their impact can be affected by a wide range factors such as the location and intensity of the rainfall, the shape and steepness of the catchment it falls on, how much sediment is moved by the water and the vulnerability of the communities in the flood’s path. These events are by their nature rapid, making it very difficult for researchers to ‘capture’ measurements at the time. The complexity, speed and lack of field measurements make it difficult to create computer models to predict flooding. NERC launched the FFIR research programme to reduce the risks from surface water and flash floods by improving our identification and prediction of the weather, flooding and sediment and debris moved by floods. A major requirement of the programme is identifying how particular catchments may be vulnerable to sudden flooding, due to factors such as catchment area, shape, geology and soil type as well as land-use. Use these new findings and predictions to provide the Environment Agency and other professionals with information and software they can use to manage FFIR, reducing their damage and impact to communities. Co-Investigators at Reading are Anne Verhoef (GES), David Mason and Richard Allan (Meteorology) and Sarah Dance (Maths and Statistics). The other institutions in the consortium are Newcastle University, University of Bristol, King’s College London, University of Exeter, University of Hull and the British Geological Survey (BGS). There has been severs flooding in Germany. Read about it in Spiegal online. The European flood awareness system (EFAS) is designed to predict such floods on the medium range (15 days in advance) and its operational centre is situated in Reading. Hannah Cloke works closely with the EFAS team researching ways to improve flood forecasting. Determination of radiance spectra (using a GER 3700 hyperspectral radiometer) on Yarnton Mead, an ancient floodplain meadow near Oxford. PhD-student Suvarna Punalekar (Felix scholar, University of Reading). These data serve as calibration for the airborne remote sensing data. 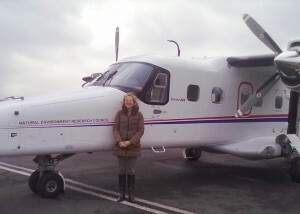 Anne Verhoef, Kevin White and Suvarna Punalekar a PhD student funded by the Felix Scholarship scheme, have been successful in an application to the NERC Airborne Research and Survey Facility (ARSF). The ARSF will fly the NERC -funded network of sensors project (FUSE) project site at least 3 times (weather permitting), possibly more often. Airborne remote sensing provides an efficient method for the rapid collection of data over a specified area. The FUSE project is based at Yarnton mead an ancient hay meadow that is part of the Oxford Meadows Special Area of Conservation. The team are investigating the interactions between the hydrological, thermal and nutrient regime and the functioning of plant communities in this example of a floodplain meadow. Some floodplain meadow ecosystems have evolved into highly bio-diverse plant communities due to the continuance of traditional management practices. 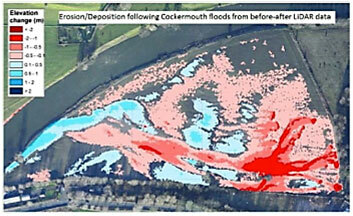 These areas are important for flood storage and sediment retention. The UK now has less than 1500 ha of this unique habitat remaining and the habitat has been given protection under the European Habitats Directive. In order to conserve and better exploit the services provided by floodplain meadows, an improved understanding of its functioning is essential. The NERC ARSF remote campaign with FUSE field observations gathered during 2013 will provide an important contribution to monitoring the biophysical properties as well as vegetation processes. The remote sensing and in-situ data will be used in conjunction with the SCOPE model, to ensure the derived information on the functioning of the floodplain ecosystem is mechanistically sound.